The dawn of cinema had no audio; silent movies created an atmosphere with music and the use of cue cards. Take a 3-5 minute trailer of a modern movie and render it in the form os the silent era- convert to black and white, add effects to make it look antiquated, replace the audio with a musical sound track. I just found an insanely fun shortcut- The Artsifier “Make any YouTube Video Award Winning”. 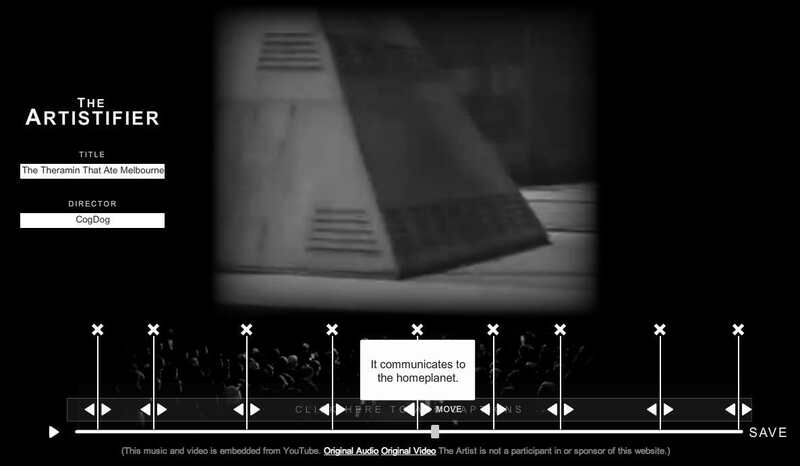 You simply load any YouTube URL, and it renders it in old styl black and white, and it adds a sound track (boo, it looks like every one you try gets the same sound track, let’s make it RANDOM!). You get a little track, and you can add captions (as well as title info). And you can see my final effort at http://www.theartistifier.com/view_4600 (an embed option would nice too) (and some font choices or more old fashioned styling on the captions) (can I ask for more features?) (please?). It is fun to play with. But it would be a short cut too easy to use for the ds106 assignment.